Alfa Laval’s PureSOx removes sulphur oxides from the ship’s exhaust gas by scrubbing it with sea water or fresh water. 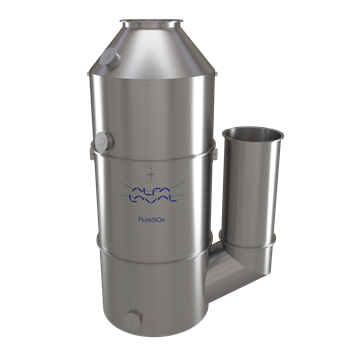 The unique hybrid design of Alfa Laval’s PureSOx gives both environmental and economical advantages. By using PureSOx, shipowners are enabled to continue operating on heavy fuel oil instead of more expensive marine gas oil while still meeting the strict IMO regulations regarding sulphur oxide emissions. Alfa Laval PureSOx is a scrubber platform specifically designed for marine SOx abatement. At sea since 2009 and launched commercially in 2012, the platform has been continuously optimized and expanded over time. Its technological foundation, however, has always been the same. PureSOx has been shown to reliably remove more than 98% of the SOx content in exhaust gas, as well as up to 80% of the particulate matter (PM). 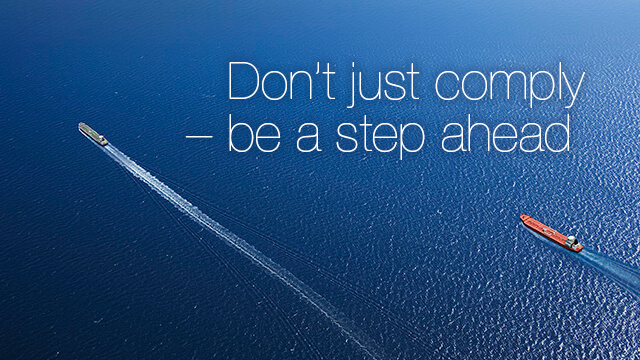 This exceeds the requirements set by IMO in MARPOL Annex VI. Even during periods of rapid change in engine load, SOx levels are kept well within SOx emission limits, as has been demonstrated during thousands of hours at sea. As a complete platform, PureSOx is much more than just a scrubber. With the many possibilities the platform offers, PureSOx can fully tailored to your sailing profile and the physical constraints of your vessel. Th PureSOx platform meets the global sulphur cap of 0.5%, which will be enforced on 1 January 2020. The PureSOx version for 0.1%S compliance, designated PureSOx ECA, is joined by a PureSOx Global version for complying with a 0.5%S global cap, as well as a PureSOx Flex version offering compliance at both levels. All versions offer open-loop, closed-loop or hybrid arrangements, in addition to the choice of U-design or inline I-design scrubbers.